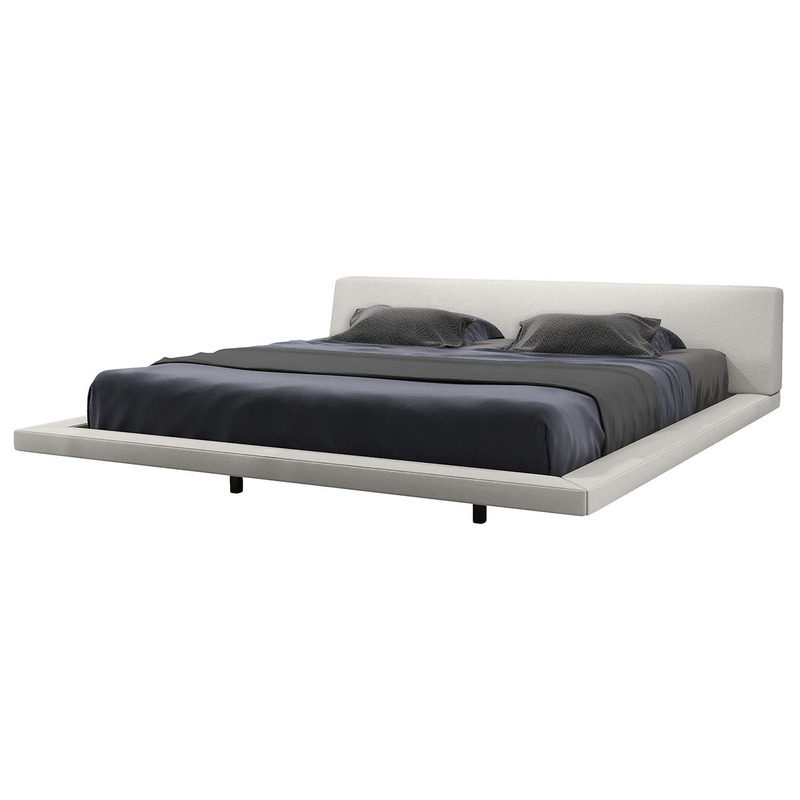 Float nightly into a peaceful yet chic sleep with the ultra modern yet timeless Jane Bed by Modloft. The contemporary bed frame's minimalist yet luxurious design is ideal for lofty, urban living and proves that less is certainly more. A low profile frame and an angled headrest with thick side panels give the bed its hip distinction while tweed fabric upholstery creates a classic look that exudes warmth and comfort. Within the frame are flexible wood slats that keep you supported night after night and allow air to circulate beneath the mattress � perfect for those summer heat waves! Complete the Jane Bed's look by choosing a fabric color that best accommodates your taste and complements your existing bedroom d�cor. Color is a cool light gray. Fabric is a nice flat weave. Height was perfect for modern look. Made well and very easy to put together. Price seemed correct. Love it. Not as pictured! VERY DISAPPOINTING. This bed is extremely disappointing. The quality of the materials is questionable - cheap fake seeming wood for the supports and legs, and the cloth covering has a shimmer to it that makes it seem very cheap. Worse, the headboard is not at all as pictured. One would need a mattress that is only a couple inches thick to make it look like the pictures. With our mattress, which is a normal mattress size, there is only a couple inches of the head board showing. We can't lean against it, and it just looks like a fold out couch in our master bedroom. It's ugly. The jane bed is ultra sleek great for the master bedroom for a women in the moon beam. Fabric is nice and style is perfect floating airy styling. 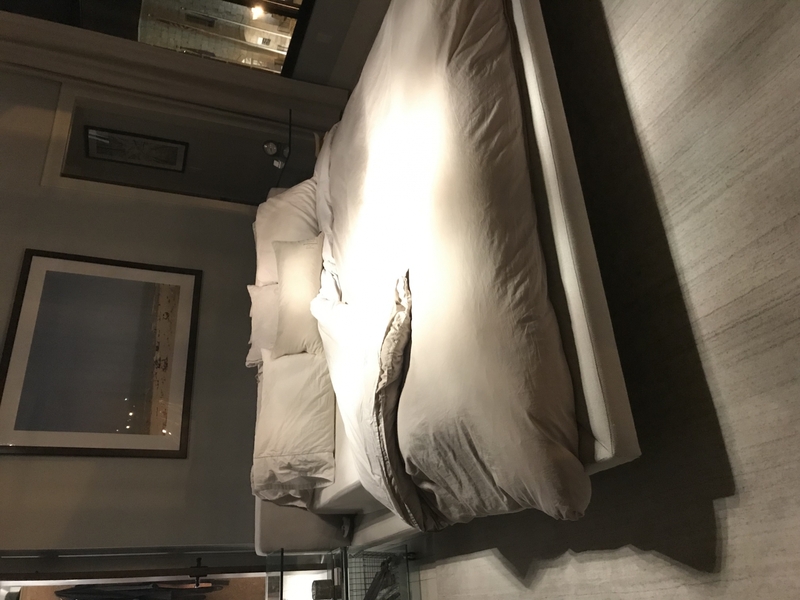 The only thing I didn't like about the bed is the slats are natural wood color and not stains grey to match the bed so they show alit and looks tacky. ProsGreat price great design fabric is nice. ConsNatural color wood slats are a bit of an eye sore. Should have been stained Grey Also don't hav Beltman transport and deliver your bed. They were uncaring didn't put it together well and got finger dirt all over the fabric . In,do Had to send cleaning and repairing service for me. Just purchased this bed for our new home. Only been in use a week, but so far, really liking the way it looks and functions. Assembly definitely easier with two people, but bed is sturdy and cushioned headboard is comfy. Very happy so far. Is this bed made with eco-friendly materials? 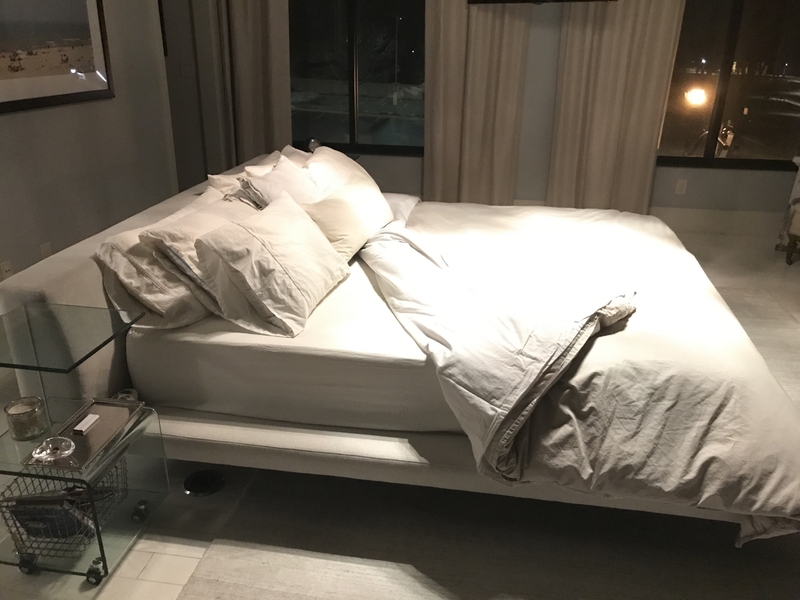 Where is the bed made? Please describe the materials and where they are sourced from? Thank you. The Jane Bed is manufactured in Mexico, and is made of solid pine wood and composite wood. The upholstery is made of STI Woven Fabric, sourced from the US. The Jane Bed does require assembly. White glove delivery services can be added at an additional fee. do the frame on the Jane Bed fold or need assembly? We have a narrow stairwell and we need a steel/metal frame that needs assembly or is foldable so it can make it up the stairs. Yes, the Jane bed does require assembly so it will come in long narrow pieces. Does this bed have wooden slats or a regular frame? This bed has a a wooden slat system and doesn't require any box spring. 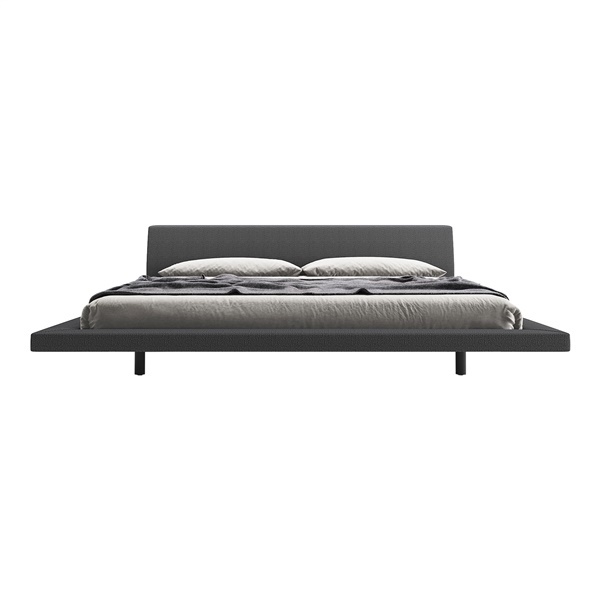 Will this platform bed work for a Cal King mattress? The Jane Bed only comes in a Queen Size and Eastern King Size bed. There is no option for California King. 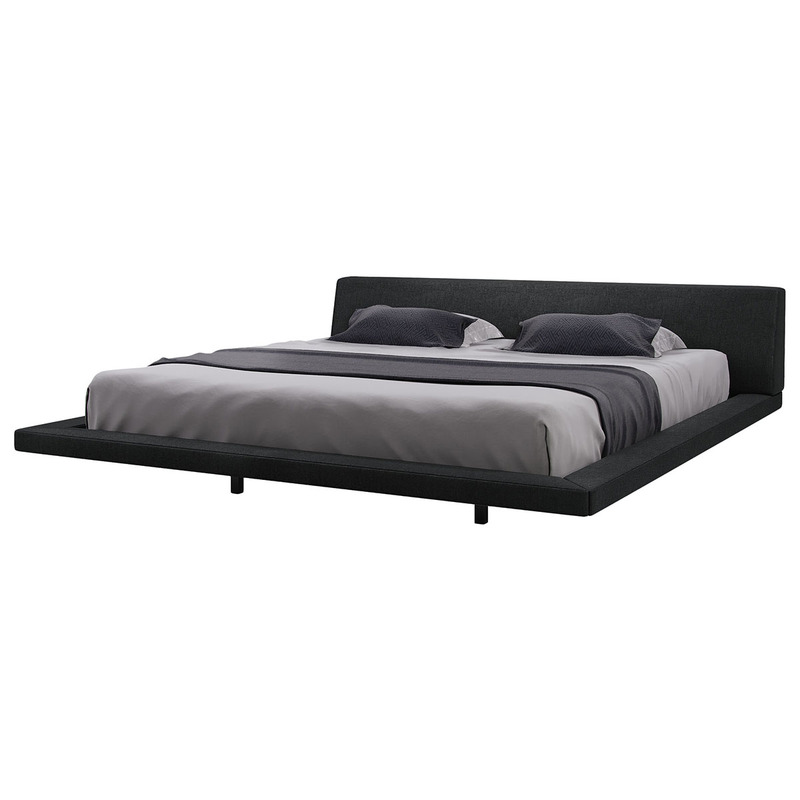 Modloft offers other bed options that are available in that size. Can i use a 14 inch or 12 inch mattress? The most appropriate mattress height for the Jane Bed is between 8"-10". Any higher and the mattress may not sit correctly and/or eclipse the headboard. Can you give me the specifics about the slats and how far they are apart, i.e., how much spacing is between each slat? Depending on that I may have to buy a box spring as well for my tempur-pedic bed. The distance between slats is 3" approximately. Since the density of memory foam mattresses vary, we recommend the use of a bunky board (not a box spring) for this type of mattress, that way you can have a flat surface above the bed slats for maximum comfort. The bunky board will help protect the structure of the mattress.